In order for the tourists to better understand the landscape and acquaint themselves with the communities that live around the tiger reserve, LWF can facilitate the interaction and orientation of people visiting , to not only help the tourists understand the on-ground situation in the village, but for experience sharing of culture, traditions, beliefs and relationship with the forest, between the community member and the tourist. Such interactions can help people connect and form a healthy dialogue which will aid conservation in the long run. The walk will be organised in a village situated in the buffer zone of the reserve and (on prior request of the tourist) can include tea or lunch with the villagers. This initiative is intended as a source of livelihood to the villagers and concerned community members. 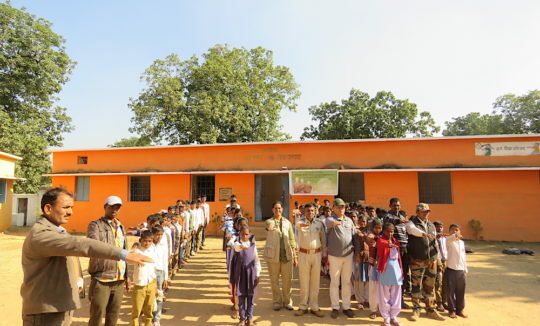 LWF can facilitate the visit of the tourists to some of the schools situated in the buffer area of the tiger reserve, to understand the challenges faced by the students and teachers in imparting education. This will provide a perspective to the visiting tourist about the on-ground situation. Interaction could include a photographer or nature enthusiast or even the interested tourist to showcase some of their pictures or conduct environment themed games to educate the students about the biodiversity that exists in their forest. 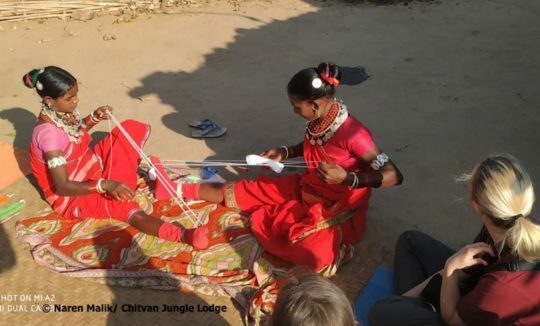 Currently, we are working with the Baiga community members across 4 villages in the buffer zone of Kanha Tiger Reserve. 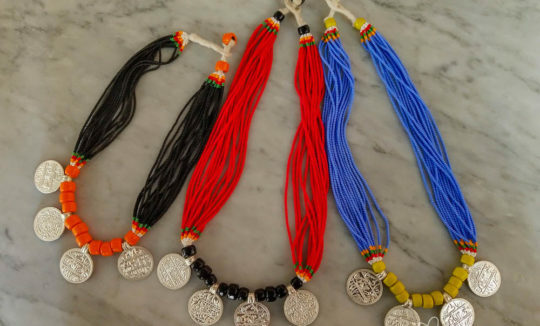 The initiative is to provide an alternative source of livelihood to the women by making the traditional jewellery worn by the women, marketed and sold by us. This venture will not only provide the members with a source of income but will also reduce the dependency on the forest and forest products as well as reduce human – wildlife conflict. 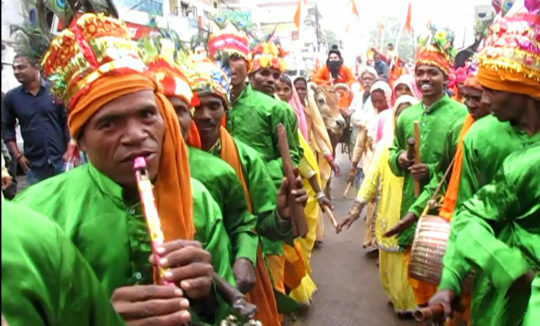 LWF can facilitate viewing of local cultural programmes like the beautiful Karma/Saila dance by the Gonds and Baiga community members that can be arranged for tourists visiting the tiger reserve. The viewing of such traditional dances not only ensures a source of livelihood to the community members, but also helps sustain the culture amongst the local tribes. Tourists can also support the Baiga livelihood project by indulging in a jewellery making workshop with the community members. This not only provides a source of income to the members, but also helps the tourist connect with them coupled with stories and vast experience sharing. 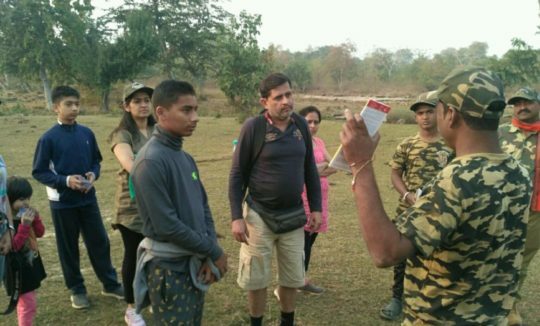 ‘Walk with the Pardhis’ is an initiative undertaken by Last Wilderness Foundation in association with Panna Tiger Reserve Management and Taj Safaris. 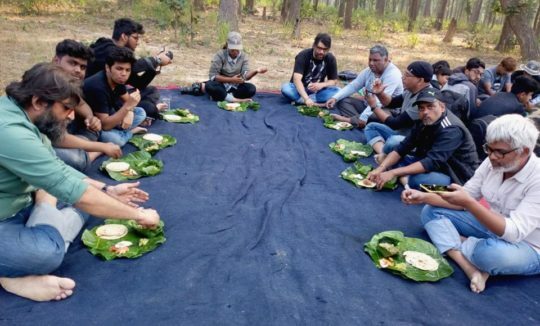 This venture aims at not only being an alternative source of income for the Pardhi community members by channelising their the age-old knowledge of the forest and the skills of identifying the animal tracks and signs but will also help visitors reconnect with the wilderness and ‘read’ the forest as the community members do. The walk is a unique experience in with the people of the forest and tourists will also be privy to some spectacular stories from the heart of the jungle. 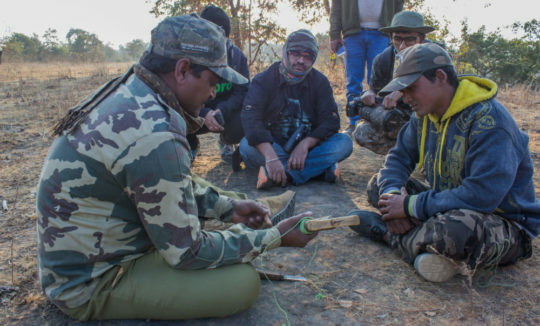 Apart from undertaking the walk, tourists can also be given a demonstration on how the ‘teetar’ whistle is being made, an instrument which was used by the community members to lure the Teetar or Francolin. The whistle is said to perfectly imitate the call of the bird and is made from the wood of the Khair or Tendu tree. The product makes for a beautiful wildlife collectible and apart from giving a source of livelihood to the Pardhi community members, also helps in the preservation of the community skill sets and culture.